When people ask me about my previous travels, there’s one destination that generates more interest than all the others: North Korea. I visited the country exactly one year ago, so now is a good time for me to look back and share my North Korea travel experiences. Just me, chillin with my homies. Can you visit North Korea? The answer is most likely yes. 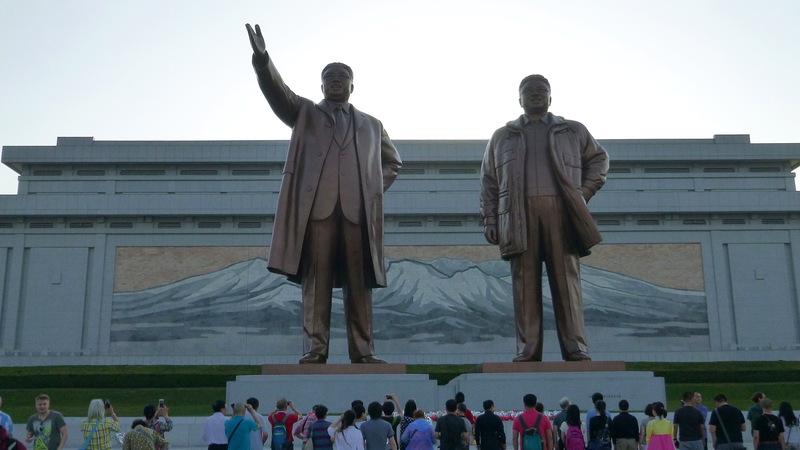 There are a lot of misconceptions about traveling to Democratic People’s Republic of Korea, better known as North Korea. For starters, a lot of people don’t even know that it’s possible. Sure, you can’t just walk across the border and find a local CouchSurfing host. You can, however, book a trip with a travel company surprisingly easily. The whole process – including filling a form for visa application – felt extremely simple when compared to, for example, applying for a visa to Russia. Still, there are some limitations for traveling to North Korea. Especially South Koreans and journalists have harder time getting to the country, but even for them it’s not completely impossible. I know reporters who have visited the country on a tourist trip without problems. They have simply named some other profession in their application. 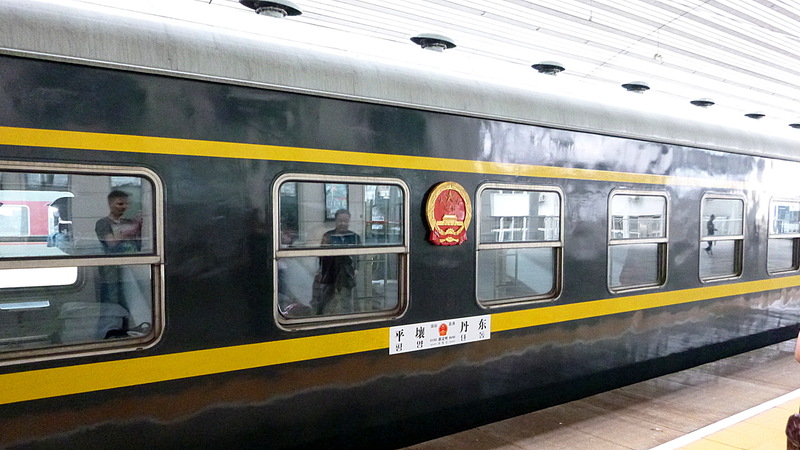 The train from China to North Korea. The border check was surprisingly light, as the guards didn’t even look into our backpacks. The same web of rumours and confusion applies to other impressions about DPRK. When we read about North Korea, we seem to be ready to uncritically believe almost anything that’s said about the country. A few years ago, a story about North Korea claiming their astronaut landed on the sun went viral. Another video showed North Korean TV news showing badly edited material of North Korea winning the football World Cup. Many people believed these stories to show authentic pieces of North Korean propaganda. So, were they right? No, they were not! Both of the videos were parodies, but not many people realized that. Even appreciated media organizations fell for these scams and reported them as the real thing. 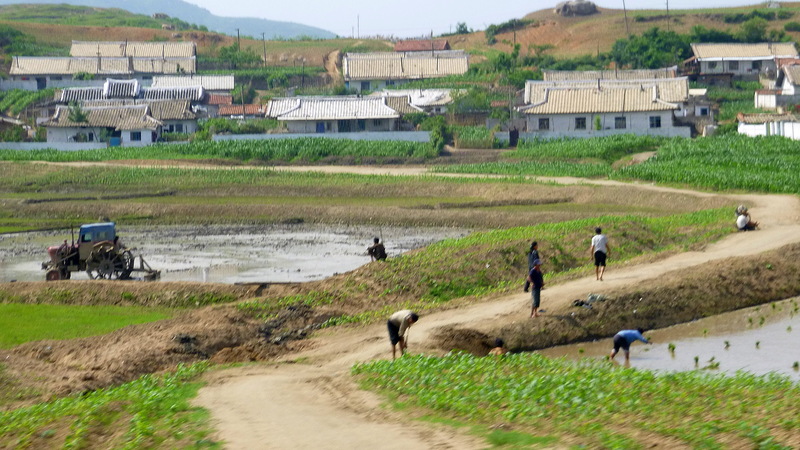 North Korean countryside as seen from the train window. All the tractors we saw had wooden wheels. Surely, we wouldn’t believe weird things about North Korea if they didn’t somehow reflect reality. The claims and pretension of the North Korean government can seem almost as far-fetched as the mock-ups. Besides, the secrecy of the country isn’t really stopping the rumours form circling around. 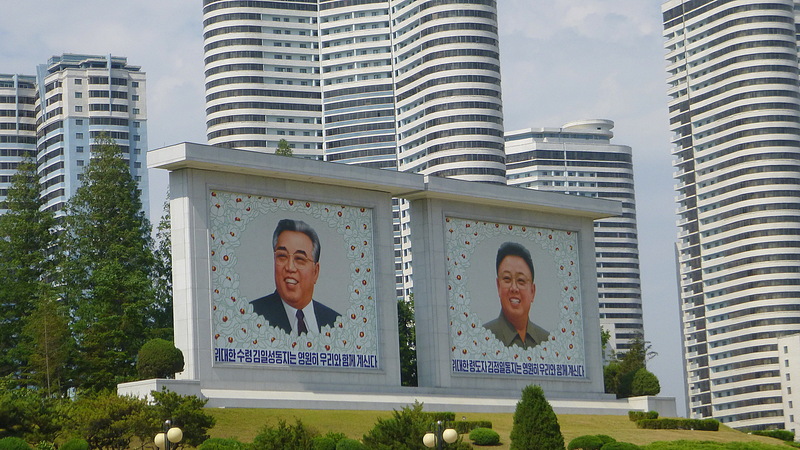 North Korea doesn’t have commercial advertising, so all the billboards had drawings of the leaders or slogans for the residents. So, what is it like to visit North Korea? Amazing. Baffling. Mind-boggling. A bit stressful and paranoid. 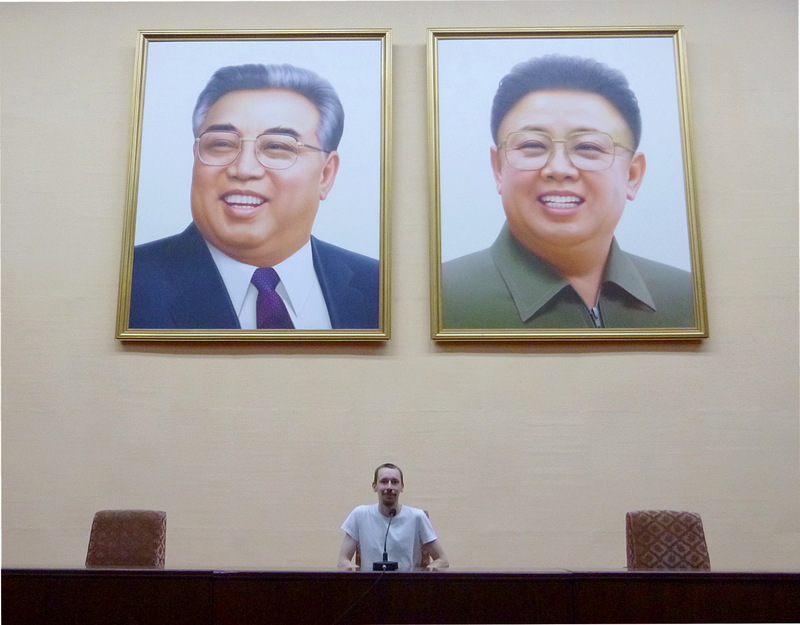 Visiting North Korea for just four days was definitely the most powerful travel experience I’ve ever had – and will probably ever have. As our tour came to an end, I even felt a little bit of sadness. I thought that there weren’t any other places left in the world that could offer similar experiences. 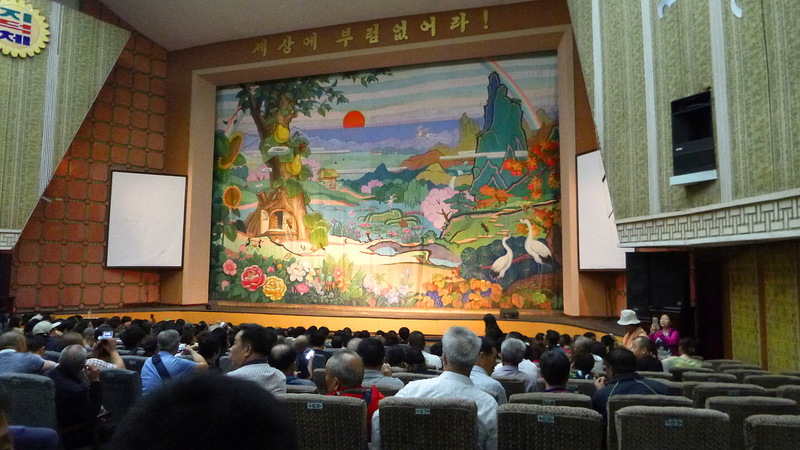 The side of North Korea that’s shown to tourists has sometimes been described as the world’s largest puppet theatre. There’s a certain element of truth here, as the tours in the most important places of North Korea are strictly controlled and supervised. 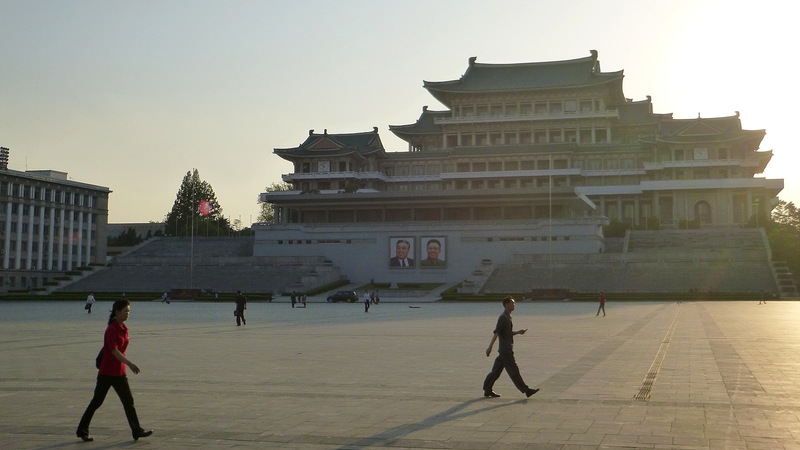 A lot of museums and services are only there for tourists, and some minor events – such as seeing the same man on a bicycle three or four times in different parts of Pyongyang during the same day – seem too bizarre to be coincidental. 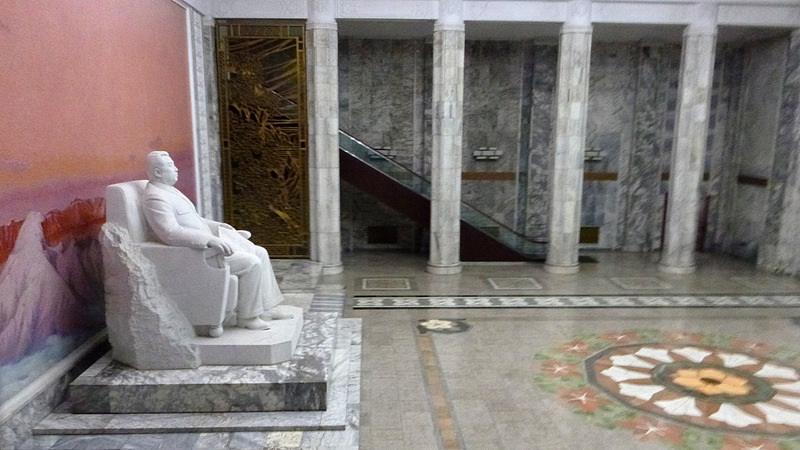 The entrance of the Grand People’s Study House. The government had spent a lot of money to make the most important places shown to tourists as grandiose as possible. There were a lot of moments when the act couldn’t withstand further inspection. If the The Grand People’s Study House has over 150,000 visitors every day, why are the front doors locked when we arrive? And why can we see only less than a hundred people in the building? The hotel officially has six elevators, but why no more than two of them seem to operate? I have only one question about the music room of the Study House. How can so many people listen to music at once, when there are no headphones on the stereos? At the same time, the scale and “realness” of the North Korean society struck me. I don’t mean that I believe the claims of their propaganda, but within the borders are just authentic human beings living their daily lives. The people I met and saw had same kind of feelings and needs as everyone of us: they smiled, they told jokes and they looked tired if they had not slept enough (which happened very often). These small details brought the humane depth to the country. These people might live in a very strange system, but besides that, there’s nothing extraterrestrial or abnormal about them. 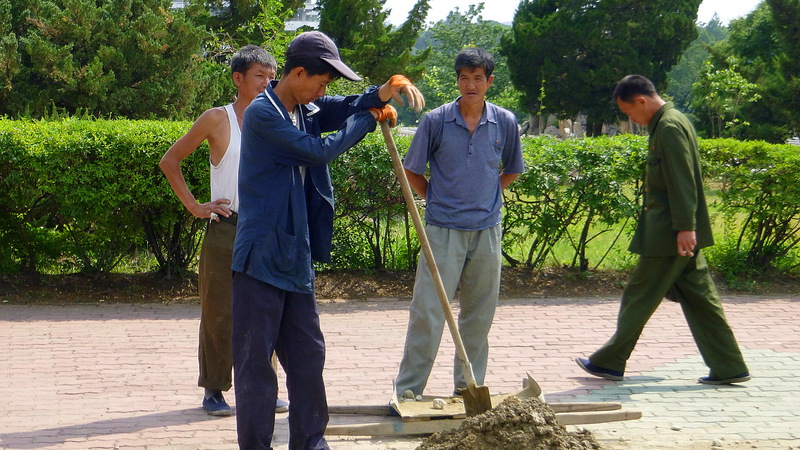 Workers digging a hole in Pyongyang. All the day tours were tightly controlled and our two guides followed us everywhere. Only in the hotel area were we free to roam around as we wanted. This environment of controlling and supervising felt burdening at times. For a week after my North Korea travel experience, I had recurring dreams about being observed by the North Korean authorities. It was always a relief to wake up and realize that I had already continued my tour of Asia to other destinations. This environment also brought our traveling group very close together, as we could wonder together about all our shared North Korea travel experiences. I was also lucky to have a Finnish friend to travel with, so we could have private discussions in our own obscure language without anyone understanding what we were talking about. Had we only spoken English, I would have probably stressed a lot more about eavesdropping and hidden microphones. Revolutionary Martyrs’ Cemetery. 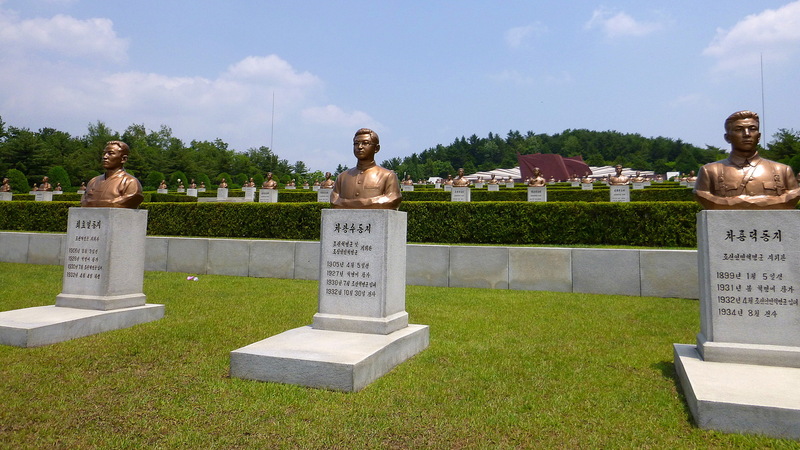 Each grave of the beautiful memorial site is marked with a bronze bust of the deceased person. …but should you do it? North Korea is not like any other travel destination. There are some ethical considerations that you have to take into account if you consider experiencing North Korea. When you travel to North Korea, the foreign currency you bring to the country is not divided evenly to all the citizens. Instead, you are financially supporting the central government of DPRK. My trip cost a bit less than 1,000 euros (including trains from/to Beijing and a day in Dandong, China). I don’t know how much my British travel company got from it, but I’ve probably contributed to the budget of the DPRK with at least a few hundred euros. Waiting for the show to start in the Mangyongdae Children’s Palace. The children of the school perform to tourists every day. 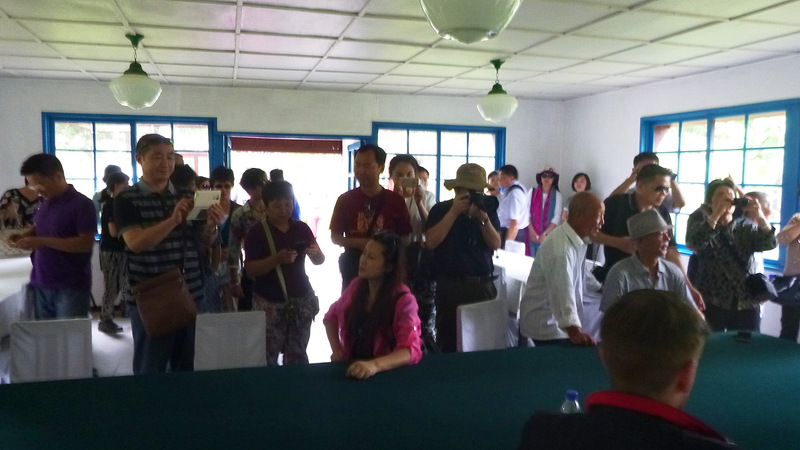 The supporters of tourism in North Korea say it increases interpersonal interaction with the locals and foreigners. 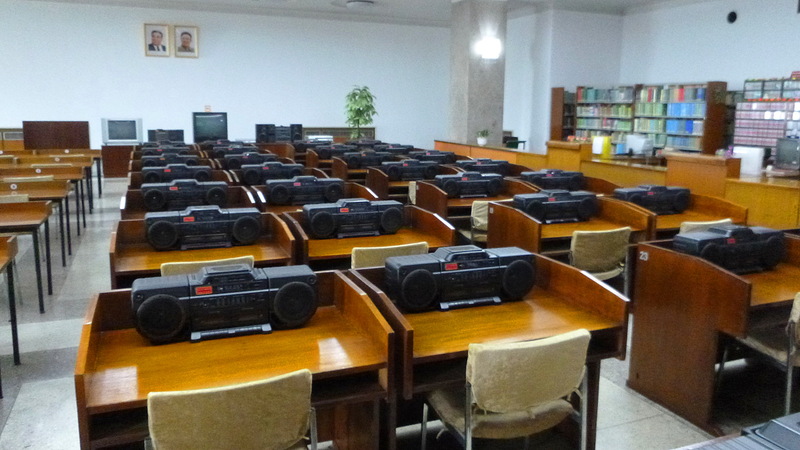 This may help the citizens of North Korea learn more about the outside world and also help foreigners spread their knowledge about the country. It could also make North Korea slowly open up, as more services and locations are opened to tourists and other visitors. It’s true that North Korea has recently made some progress in opening up to visitors. The country recently had it’s first exchange student from a country other than Russia or China and media companies have been given more access to the country. For example, the Finnish National Broadcasting company Yle made their first live broadcast from North Korea just a month ago. Photography restrictions have also sharply decreased in the last few years – the only thing we were not allowed to capture on camera during our visit last year were military targets and a burning building we accidentally encountered in central Pyongyang. You are not allowed to take a picture where parts of these statues are cropped out of the frame. And if you take a selfie with them, it’s forbidden to wear sunglasses in the photo. Still, the positive effects of tourism shouldn’t be exaggerated. The visitors only get to interact with privileged locals who are not allowed to speak too much about certain controversial topics. Thus, you won’t get a chance to hear critical opinions about the regime of Kim Jong-un or the various prison camps spread around the country. 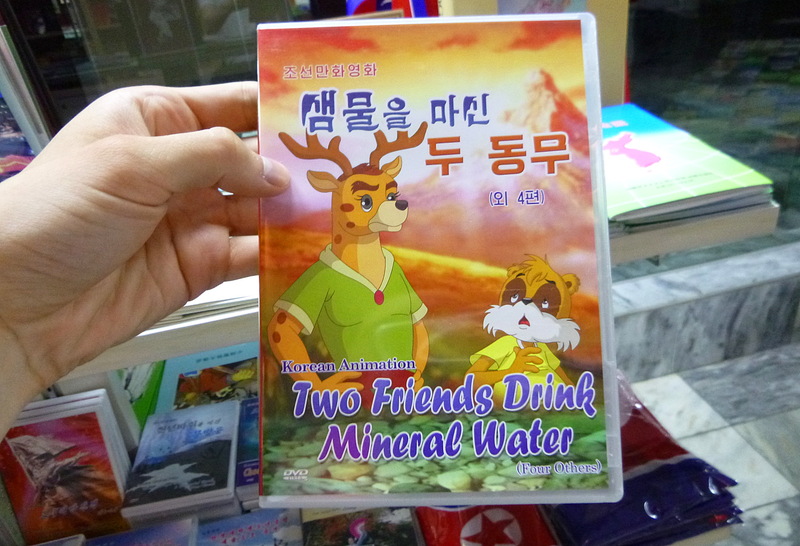 North Korea travel experiences are strictly supervised. Travelers will only see what the governments wants them to see. The slow opening to visitors is also tightly controlled. Visiting the DMZ. The guide told the Chinese tourist group that our Western group was sitting in the same side of the table as “the capitalist pigs” had been during the peace negotiations. The same joke was not translated into English. Should you travel to North Korea, then? I don’t know. The whole debate between engaging and isolating is not a clear debate between right and wrong opinions, as both sides have their points. The current engaging politics in Cuba are working quite well. I’d wish to see the same process slowly happen in North Korea, although I don’t know how realistic my dream is. As a travel experience, North Korea is one of a kind. However, if you think about going there, you should ponder both the positive and negative outcomes of your visit. Is the ethical price you pay too high to satisfy your curiosity? Most international tourists stay in the Yanggakdo International Hotel. It is the only place in the tour where the tourists can walk freely without guides. This DVD in the book store seemed interesting. In the Study House, we could ask to see books from the closed library warehouse. I asked for books in Finnish, and it took them less than a minute to bring us these three books. The first one is about the modernization of agriculture in Finland. The others are a list of the official publications of the Finnish government from 1980 and a book about the use of participle in the names of Finnish locations.